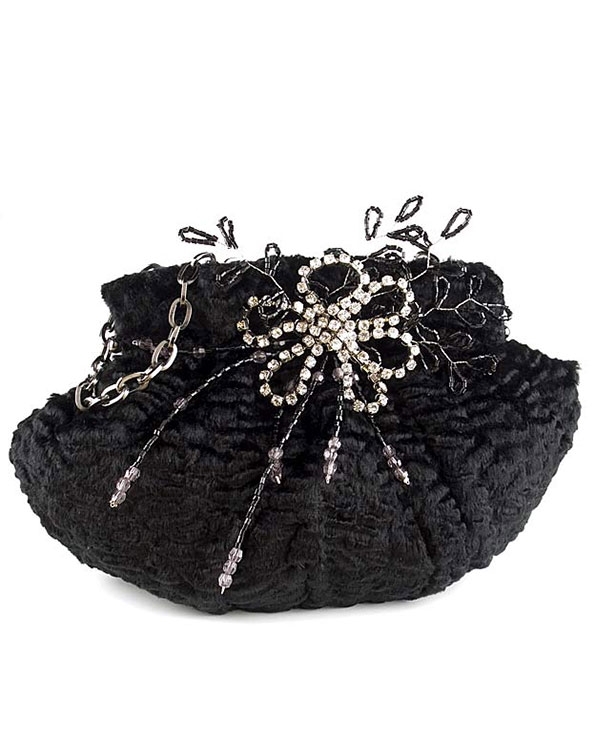 Black Faux persian evening bag with crystal flower by Menbur. This beautiful bag is fully lined with black satin and has a small pouch pocket inside. Flower detail is made with clear crystals & black crystals. Small black chain handle. A unique bag that can dress up any outfit.